Looking for something to do next weekend now the the Bank Holiday is over? The countdown is on to the start of this year's Medieval Festival. 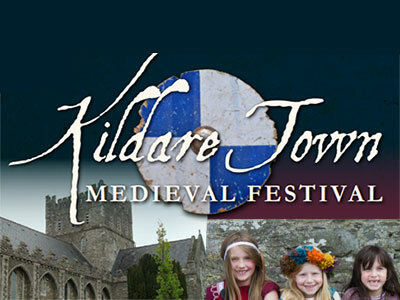 Click on any of the links below for more information, contact the organisers here, on 00 353 45 530 672 or message them on Facebook, @kildaremedievalfest. As part of our Medieval Festival we are encouraging people wherever possible to leave the car at home and use our excellent Public Transport system of buses & trains. Both are a short hop to the Medieval Festival. This will help to avoid traffic jams and make for a more pleasant visit to the festival for all. The organisers have included a listing of car parks (some of which you will have to pay a small parking fee as denoted by €€€).